When we start talking about the difference between the ancient and modern telecommunication system, we will definitely not consider the ancient mode of communication that was practiced ages back. We will only evaluate the older mode of communication system that was practiced until recently, till the development of VoIP based communication system. We will try to differentiate between that old mode of communication and the modern VoIP based telecommunication that is practiced at present. Thanks to the development of internet technology, it has influenced the world of telecommunication in a big way. Now in order to know the difference between the present VoIP based telecommunication, and the erstwhile communication system, we need to at first know how the VoIP actually works. VoIP or Voice over Internet Protocol is something that is purely based on internet, unlike the conventional or regular communication system, which used the Public Switched Telephone Network (PSTN). This was also called the POTS or the Plain Old Telephone Service, which used the circuit-switched telephony. The POTS system actually functioned through setting up of dedicated circuit or channel between a pair of points along the entire duration of the calls. The conventional telecommunication service was based on copper wires, which carried the analog voice data over the dedicated circuits. 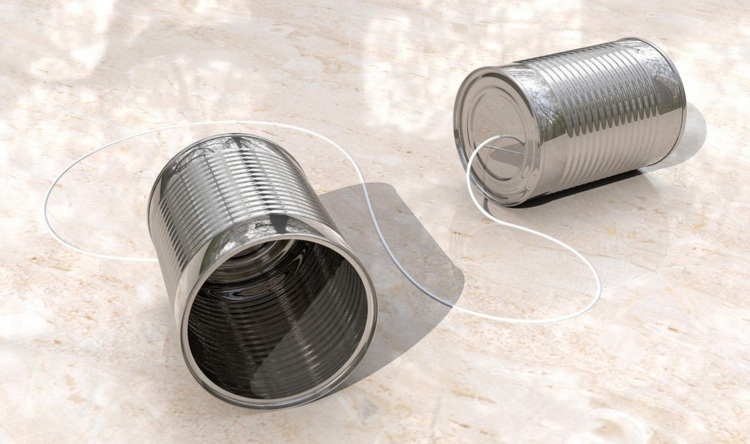 However, the modern VoIP based communication system is in sharp contrast to this old fashioned technology. Here, in VoIP, much unlike in PSTN, packet-switched telephony is used. With the use of this new system, the voice data or information is transported to its destination in innumerable individual packets of network over the internet. These individual packets, on almost every occasion take various paths to reach the same destinations. However, the technology is such that though they might take different routes to reach the destination, all the packets pass through a narrow time windows, and assemble in a correct order so that they are intelligible for the recipient of the call. In order to ensure that, VoIP puts into place various schemes of encoding, which are backed by a compression technology. This compression technology actually reduces the size of those voice packets, to ensure that they can be transmitted in a more efficient way. Now let us see the difference between the two systems from a bird’s eye view. The PSTN used to have dedicated or exclusive lines of 64 kbps for each direction and had features like call waiting, caller ID and the likes, though all these value added services were available at some additional cost. The PSTN technology could also be upgraded as well as expanded, though for that some new equipment and new line provisioning and hence, more investment was required. For long distance calls people had to pay a considerable amount of money, though there were provisions of bundled subscription on minute by minute basis. The landlines were hardwired and these lines ran without any power adapter. They were active even when there was a power outage. One most important thing is that the location of the line could easily be traced by a certain mechanism. On the other hand, in case of VoIP all the channels carry just a solitary internet connection and though there is compression as well, it can at times result to 10 kbps for each direction. This surely comprises of value added features like call waiting, caller ID and so on and there is no need for any extra cost. It is possible to upgrade the system by upgrading the software as well as altering the bandwidth. There is no need to shell out any additional charges in case of long distance calls, though in case of a power outage, there will be no phone connection but for any power backup. Most importantly, the location of the caller is not always detectable. So these are some of the basic differences between the two types of telecommunication systems.